How many coffee cards do you have in your wallet? Do you have a wallet full of coffee cards? I recently had a big clean out, but plenty remain. Why do we carry these around? 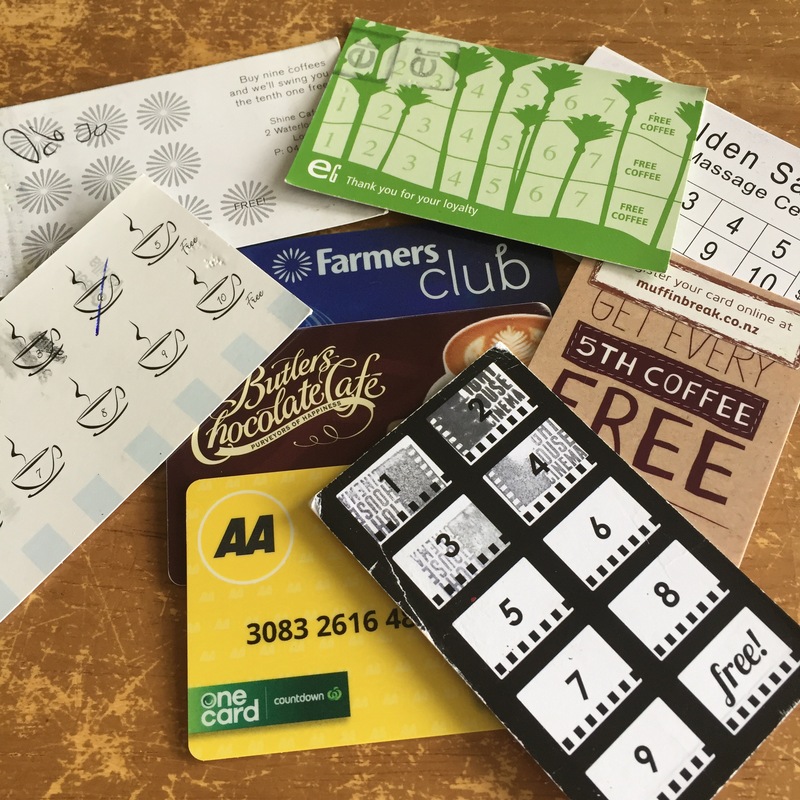 and more importantly, why do businesses love loyalty schemes? Okay, I’ve given the game away a bit: coffee cards are about LOYALTY. Business 101 teaches that it is easier/cheaper to retain an existing customer than to win over a new one. That’s why businesses love repeat business: they make more money on it, because they’ve spent less wooing you in the door. They are also hopeful you will spread your love around, tell your friends, and bring more business in their door. Those are the two big draw cards of loyalty: repeat business and referrals. Business 101: it is easier/cheaper to retain an existing customer than to win over a new one. So, what does this have to do with bike users and bike parking? A lot. BikesWelcome want to encourage everyday bike use. We want businesses to recognise and reward their bike using customers…. just like they do with other loyalty marketing practices. We know it’s good for business to attract bike using customers because, when you treat them right, they make really good customers. They are local, loyal, regular and repeat customers. They tell their friends. How do you know which customers ride bikes for everyday purposes? They probably look the same as any other customer. Their bike won’t be with them, their helmet is probably on their handlebars, and they are probably dressed in everyday clothes, (unless their out for a long sporty ride). So unless you are an expert at spotting ‘helmet hair’ you are probably fairly oblivious to your customers transport mode choices. How do you attract these lovely people to your business? Make them feel welcome – Become a BikesWelcome business: Invest in (or request some) great bike parking, join BikesWelcome as a BikesWelcome business. Do you want to help spread the word that ‘bikes mean business’? Bikes mean business!!!! Surprising truths about how many customers ride bikes and what they spend when they do!